Is there anything more quintessential “Key West” than Key Lime pie? The city takes immense pride in our Key Lime pie and there’s always a hunt for the best slice in town. There’s even an annual Key Lime Festival, where locals and tourists can sample anything from pie to Key Lime infused cocktails. It’s safe to say we’re Key Lime fanatics, so we did the work for you to curate a list of some of the best spots in town! Don’t let the mile-high meringue scare you off, this is one of the best Key Lime pie slices in town! Blue Heaven’s dessert is beloved by locals and tourists alike and offers up a great picture perfect moment to boot! While you are enjoying your little slice of key lime perfection, sit back and enjoy the live music and chickens scampering around Blue Heaven’s outdoor courtyard. Just a 5-minute walk from The Marker, Kermit’s Key West Key Lime Shoppe is a known Key Lime destination. The storefront has almost every type of food with a key lime finish! They also have an adorable back patio area to enjoy your slice next to a bubbling foundation. Can’t make it to Key West and still want the flavors of the southernmost city? Kermit’s has a great selection of recipes online to make at home! With not one, but two locations on Duval, Mattheessen’s is a taste of homemade baked goods that you’ve been craving. Using a thick graham cracker crust, their Key Lime pie is a favorite of many. One of their most popular items is their Key Lime pie on-a-stick dipped in creamy, rich Belgium dark chocolate. They also sell an assortment of delicious desserts, from half-pound cookies, marble slab fudge, and homemade ice cream (perfect for cooling off from the Key West heat!). Why yes, there is a festival devoted to our favorite food! Every Fourth of July The Key Lime Festival comes to Key West, touting the tagline “What’s more American than Key Lime Pie?” Compete in a pie eating contest, then partake in a Sip & Stroll event, and top it off with a Key Lime Pie Hop. The Sip & Stroll allows groups of friends to stop by 15 different bars and sample their signature Key Lime Martini & Margaritas! Make sure to mark your calendars: This year will be the festival’s 5th year! Are you craving Key Lime as much as we are? 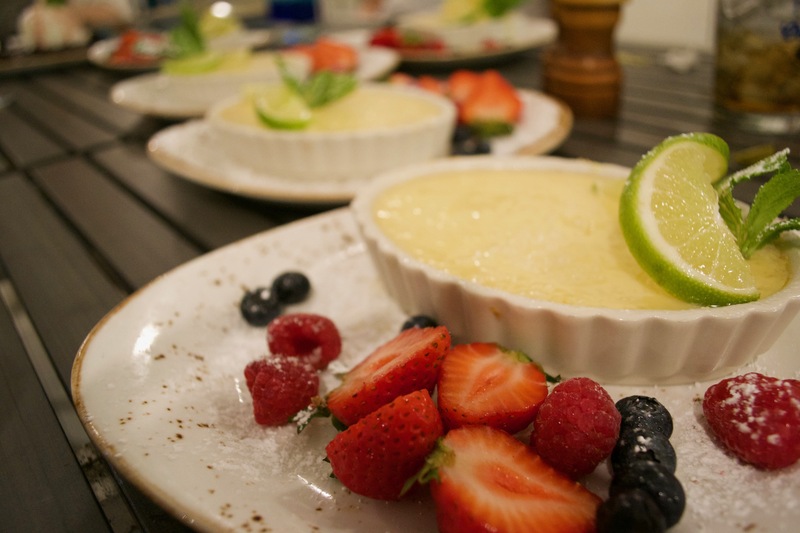 Make sure to share your favorite place for Key Lime pie in Key West with us on social! us on Instagram, @TheMarkerResort, for your Key West fix and vacation views all year-round!